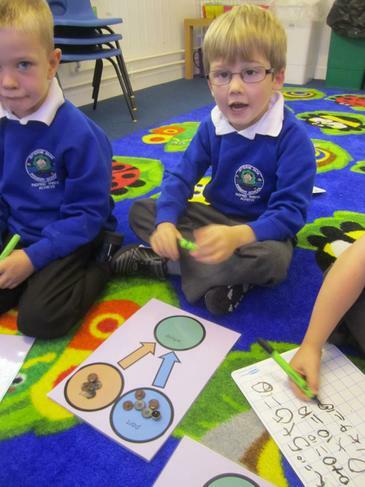 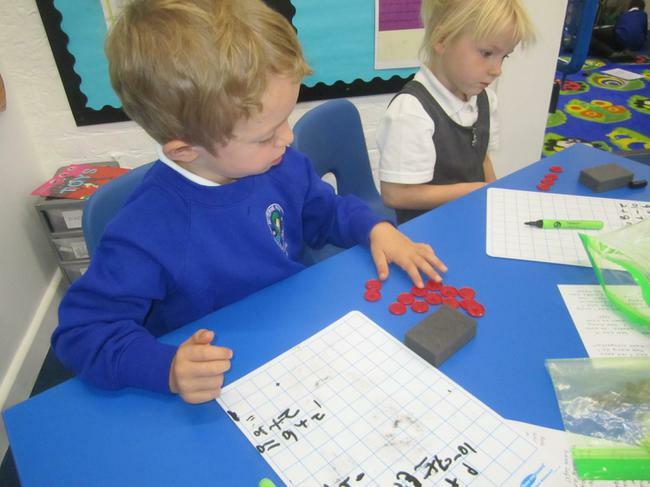 We have been doing lots of mental arithmetic in maths this term. 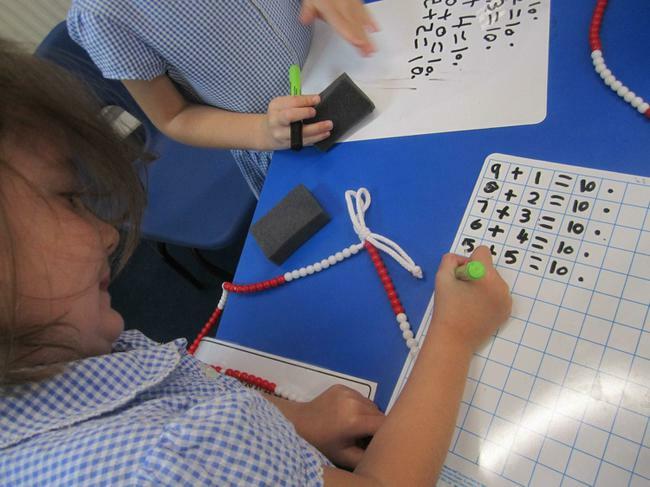 We begin with the multilink cubes in the blue hula hoop, and then we split them into two parts. 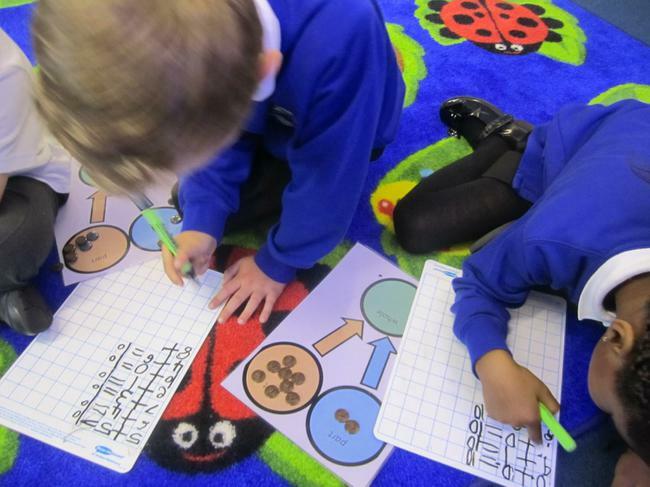 Then we record the number sentence on a whiteboard to show our teacher. 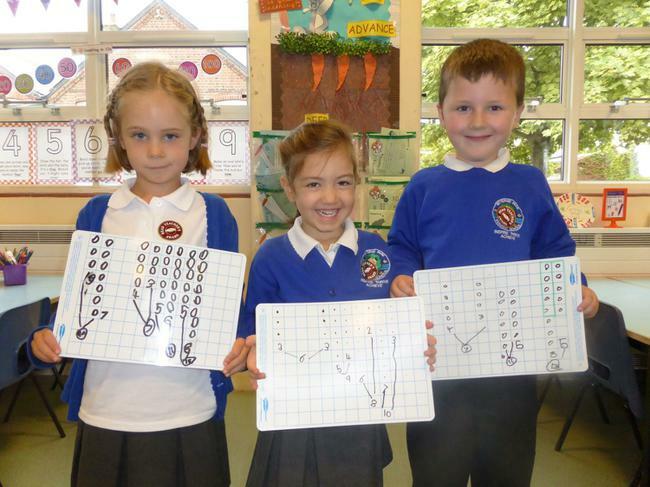 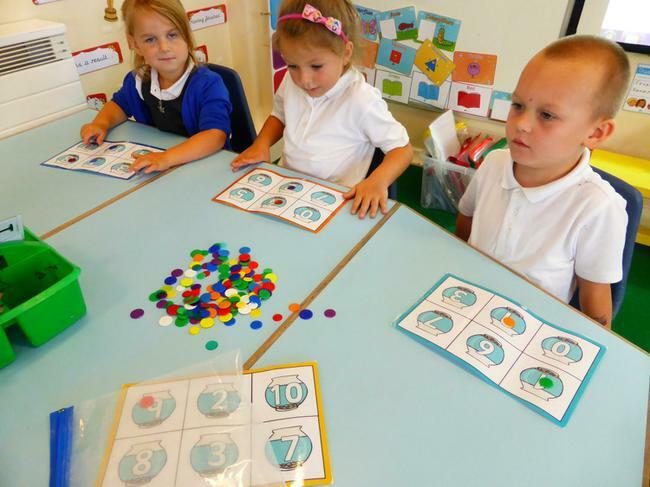 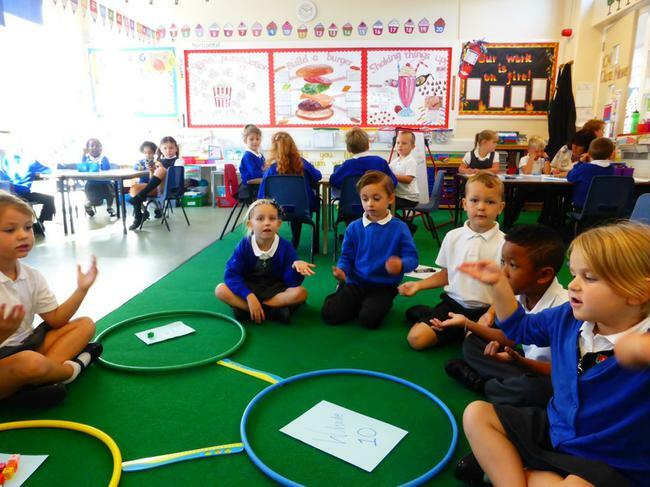 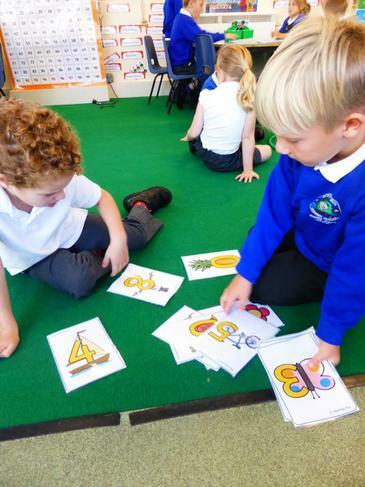 We have also been working on our number formation in maths. 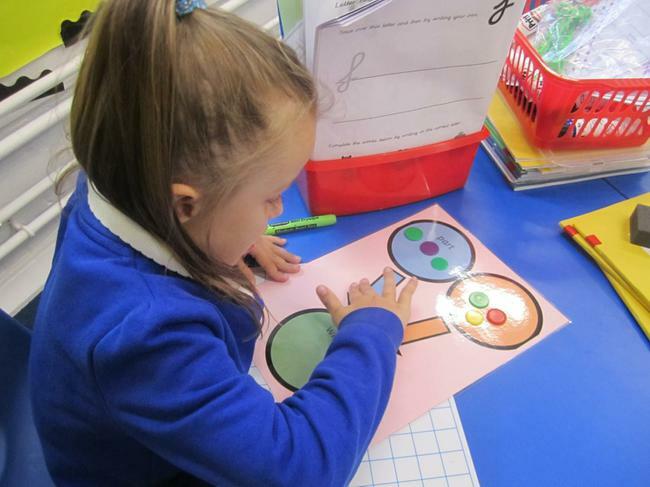 Miss Campbell has these posters to help us remember the shape the numbers have when they are written. 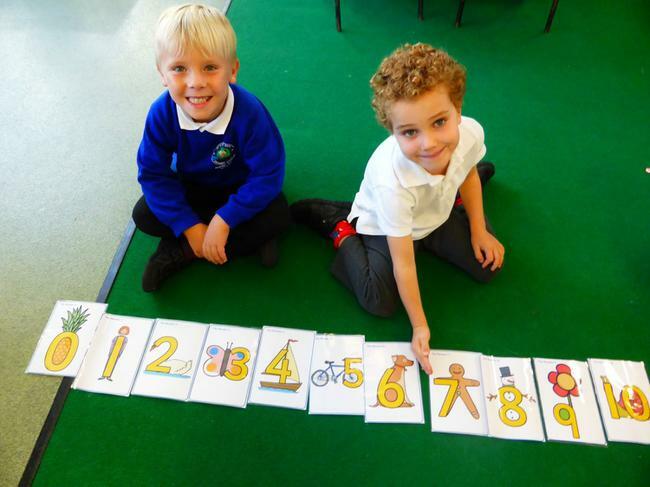 In this photo, we are putting the numbers in the correct order so we can use it as a number line. 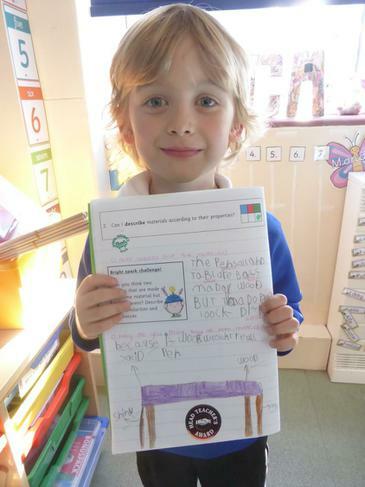 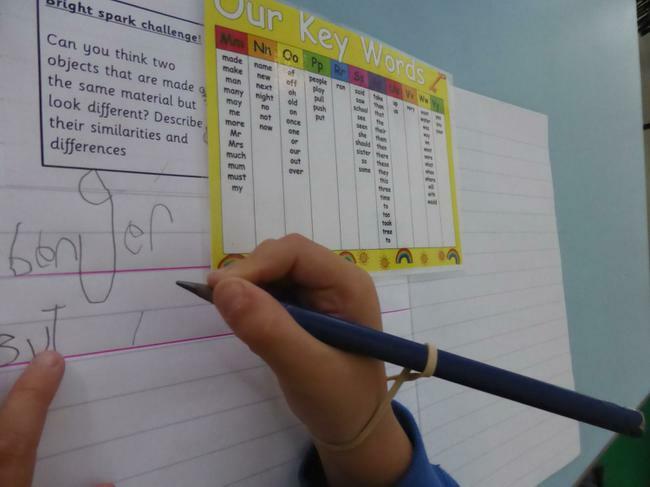 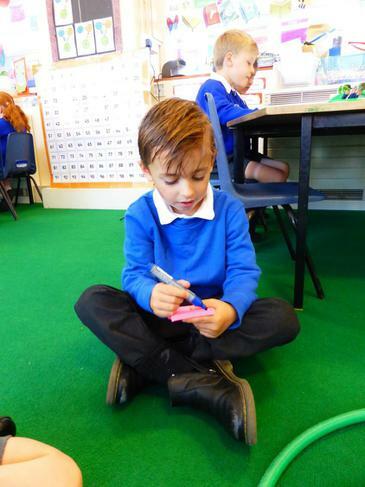 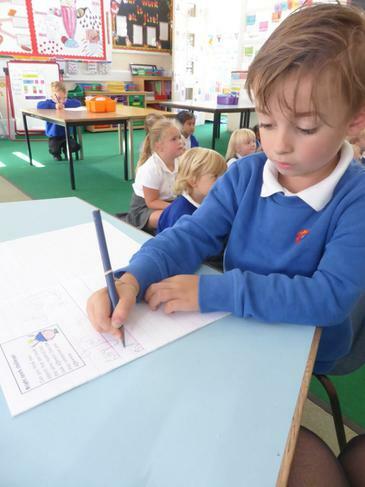 Handwriting is an important skill to have when recording our findings, it helps us to share our findings with others.